3rd and Bell Apartments – HV Engineering, Inc.
Seattle, WA – This project is unique in that it utilized modular, prefabricated construction for the top five stories. The building mechanical systems employ a high efficiency hydronic heating system which reduces the overall building electrical load enough to avoid the high cost of installing an electrical transformer vault. This resulted in a large cost savings that was utilized to pay for the upgraded heating system. 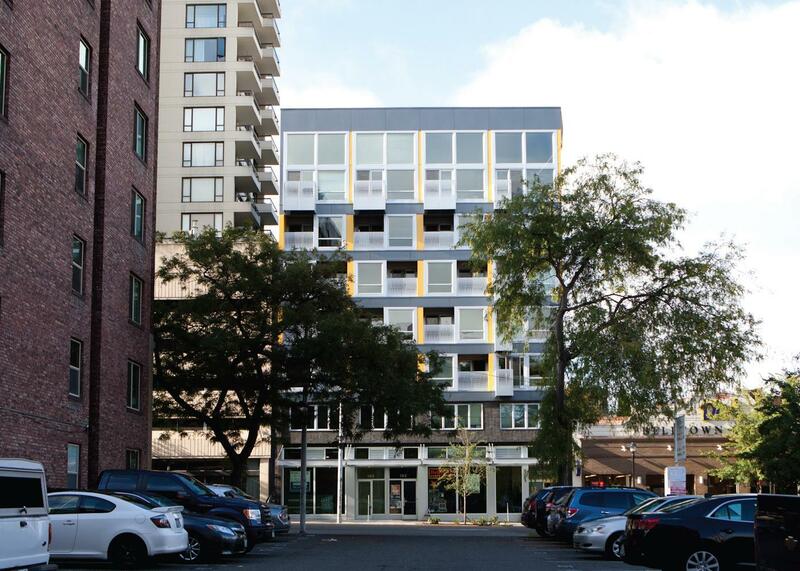 The building has 49 units plus ground floor retail space and received an Honorable Mention award at the 2014 AIA Seattle Honor Awards ceremony.